Ironically, the genesis for Dive Rite Mexico began in Iceland. Last summer, Lamar Hires, Dive Rite's CEO, joined a group of like-minded divers from Rango Extendido to explore Silfra. This is Iceland's infamous fissure, where you can dive in the crack between two continental plates and simultaneously touch North American and Eurasian. Following a dive in visibility measureless to man, Lamar Hires and Ricardo Castillo (a NSS-CDS cave instructor at Rango Extendido) got talking about diving the equally crystal clear waters of Riviera Maya in Mexico. The Yucatan peninsula in Mexico is a paradise for technical, cave and CCR divers because it is here that you find the largest submerged cave system in the world. At present, more than a thousand kilometres of caves and submerged rivers have been explored in the peninsula. These caves are of great scientific interest because of the historical richness of the Mayan culture. Archaeological finds date back thousands of years. The caves are also vitally important because of their ecological value and the role they play within the ecosystems of southeastern Mexico. "We have all this world-class diving on our doorstep, and we didn't have the equipment back up that we needed and wanted" said Ricardo Castillo. "And there are something like 500 dive guides registered in and around Playa del Carmen. I chatted through the idea of opening 'Dive Rite Mexico' with Lamar Hires and he thought it a fantastic idea. There are lot of dive centres in the area, but not many options for divers wanting to buy high quality technical diving kit, or needing their gear serviced and maintained. Often local divers would need to ship stuff direct from the USA, or ask their friends, guests or students to bring extra equipment with them. It's not an optimal solution. "We have a lot of technical diving in the area, so we wanted to provide the very best equipment for everyone. We specifically chose to run with three manufacturers: Dive Rite, Shearwater and Waterproof. 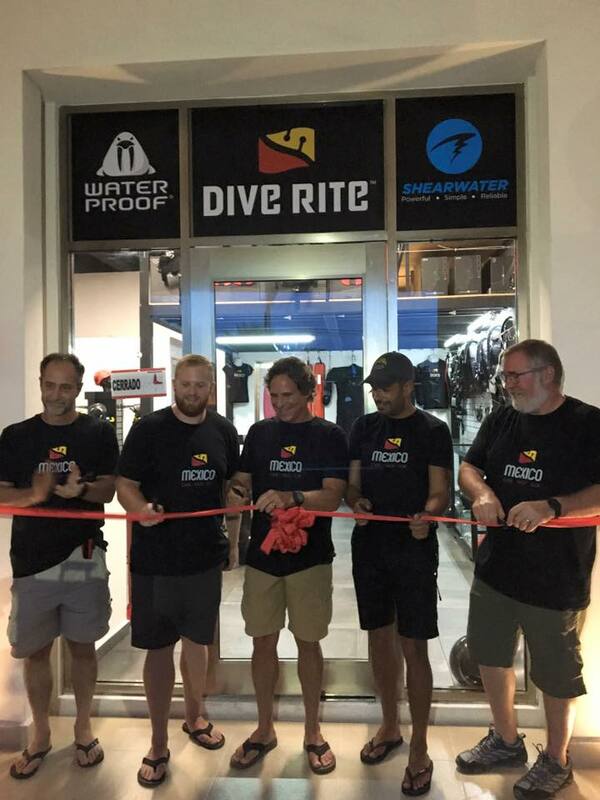 Each of these companies excel and provide the very best gear that divers need and want for technical, cave and CCR diving. 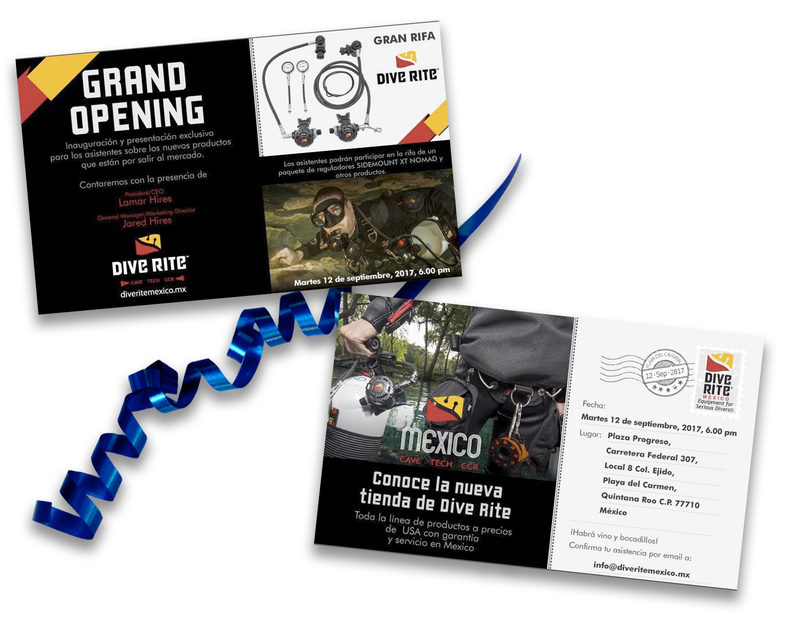 "Dive Rite Mexico' opened on 12th September and we've found the local divers are very happy. They now have a dedicated service centre that provides warranties and a well stocked shop."